Discover Napolitains! 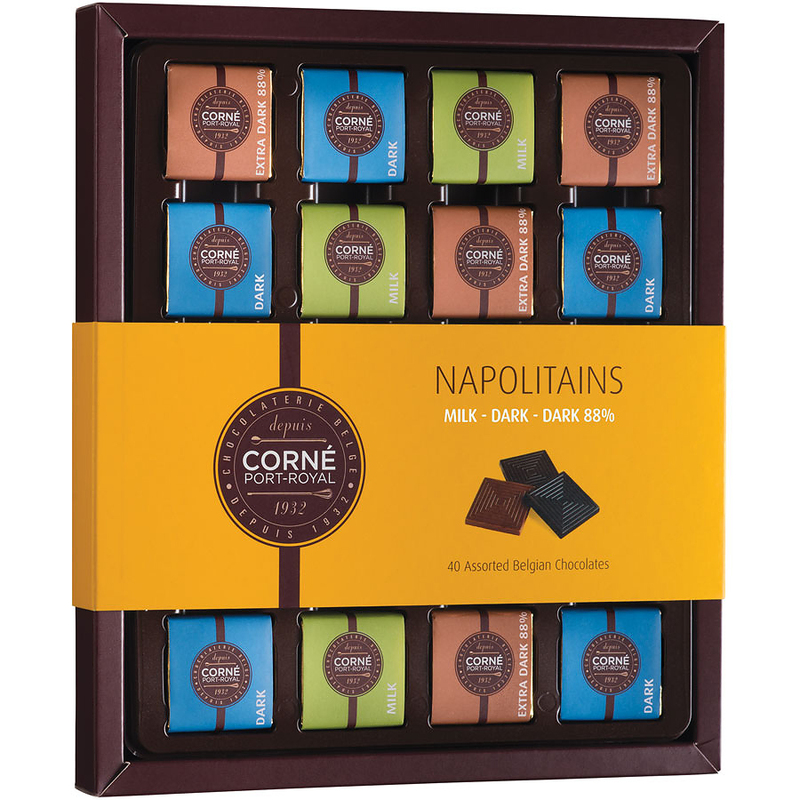 These fine chocolate pieces transform a coffee break into a gourmet experience. 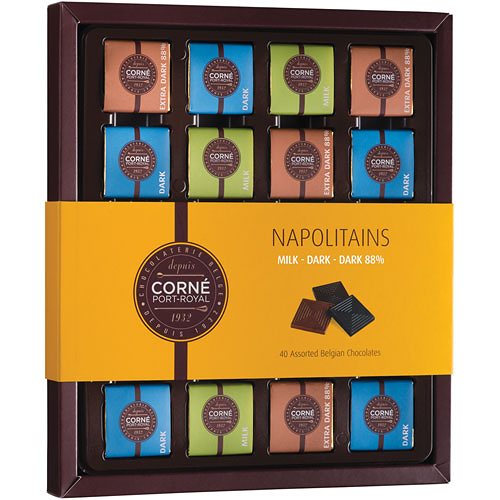 This presentation box will delight traditional chocolate lovers with its assortment of milk, dark and ultra-dark (88% cocoa) chocolate Napolitains. Ingredients: Cocoa mass, sugar, cocoa butter, whole milk powder, low fat cocoa powder, emulsifier: soy lecithin (E322), natural flavour: vanilla. Extra bitter chocolate contains: cocoa solids 88% min. 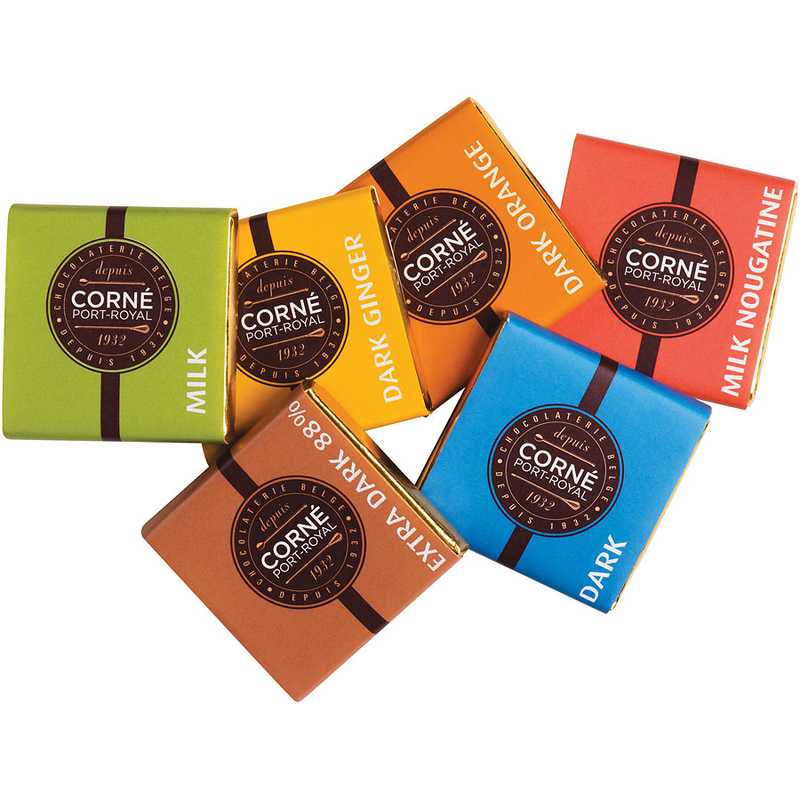 Dark chocolate contains: cocoa solids 60% min. Milk chocolate contains: cocoa solids 36% min., milk solids 17% min. Allergy Advice: Contains or may contain traces of milk, soy, nuts, gluten and sesame.